Location, Location, Bidwell Park! 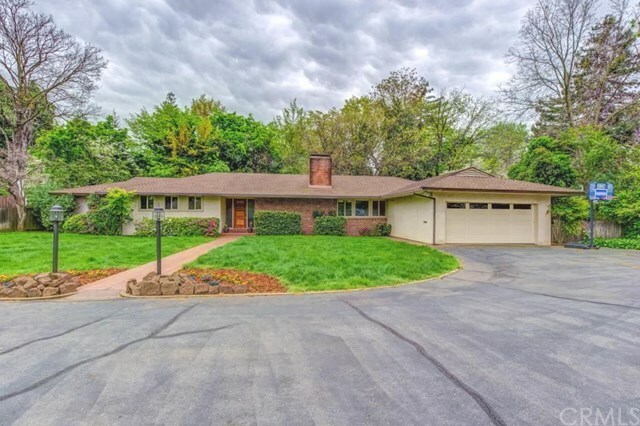 This classic 1950âs ranch style 3 bedroom (plus an office) home adjacent to Bidwell Park with access to Big Chico Creek will knock your socks off. Huge picture windows, hardwood floors, masonry fireplace, large covered and screened porch, gorgeous backyard with a beautiful brick patio where you can relax and hear the creek flow by. This floorplan will work beautifully if you need a nanny, in-law suite, or caregiver accommodations. Amazing location on Bidwell Park and only minutes to downtown Chico, CSUC, Chico Jr. High, Chico Sr. High, Gateway Museum, Bidwell Mansion, and more. 10 Lindo has hosted numerous weddings, anniversary celebrations, birthdays and has been a family gathering place for years. This home is in need of some cosmetic updates, but use your imagination and your dreams can come true. The potential is endless! ************************************************************************************************************************ Assessor states 2 bedrooms, Agent notes 3 bedrooms, Assessor states 2,092 sq. ft., appraisal shows 2,480 Sq. Ft. Enclosed area between garage & kitchen may have been completed w/o permits. Buyer is advised to investigate to their satisfaction. Directions: Esplanade to Memorial Way (across from Chico Jr.) Right on Lindo-Private Rd.